The American Civil War (1861-65) was the bloodiest war of the nineteenth century and its impact continues to be felt today. It, and its origins have been studied more intensively than any other period in American history, yet it remains profoundly controversial. 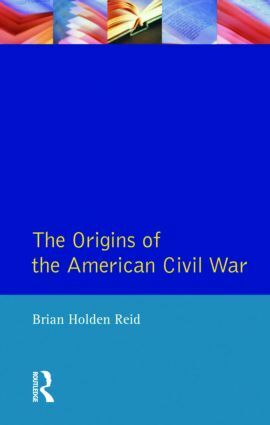 Brian Holden Reid's formidable volume is a major contribution to this ongoing historical debate. Based on a wealth of primary research, it examines every aspect of the origins of the conflict and addresses key questions such as was it an avoidable tragedy, or a necessary catharsis for a divided nation? How far was slavery the central issue? Why should the conflict have errupted into violence and why did it not escalate into world war? Introduction. 1. An American Experiment in Democracy. 2. The South and Its Peculiar Institution. 3. Sectional Tensions Resolved, 1840-50. 4. Sectional Tensions Unresolved, 1850-58. 5. Anticipations of War, 1858-60. 6. The Year of Decision: 1860. 7.The Secession Crisis: Southern Challenges, Northern Responses. 8. The Final Crisis: Fort Sumter. 9. The Origins of a Punitive Civil War: Why Did the War Not Spread? Conclusion. Bibliography. Maps.